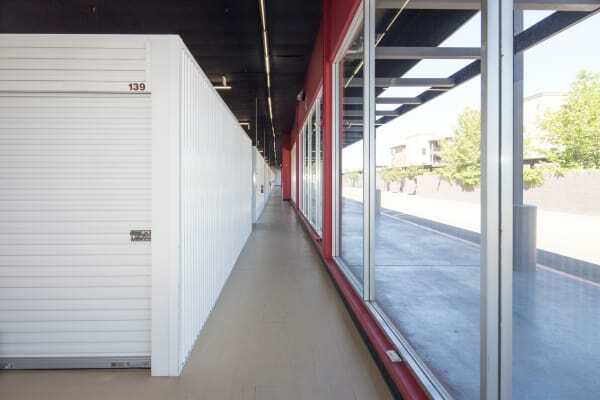 Your search for self storage units near North Highlands ends at Trojan Storage. We have traditional and climate-controlled storage units available, both great options for either business or personal storage. Our climate-controlled storage units maintain a set temperature and humidity range in order to create a consistent environment unaffected by the weather outside. Use our well-lit grounds as the perfect place to house your motorcycle when you need extra space in the garage. We designed our storage units to appeal to your unique needs with high ceilings and access available 7 days a week. Choose a ground-level storage unit with drive-up access for the ultimate convenience. Renters opting for units on higher levels will appreciate easy elevator access and the onsite dollies and carts that better streamline the entire process. We have individually alarmed units, and our facility also features 24-hour security monitoring with digital surveillance, both thoughtfully included for your peace of mind. Get organized and feel confident in your decision to partner with Trojan Storage for your self storage needs. Visit our Features page to learn more about our Sacramento self storage facility.